I just love maps — looking at them and making them too. I started making them as a kid, and my journals (especially the travel ones) are full of maps. They’re a great way to tell a story graphically, even the ones I made up out of my imagination. And they have so many uses, from giving directions to a house guest, to recording my personal history, to recreating memories, to recording a trip to charting the geography of a novel, to figuring out the most efficient way to tackle my list of chores. 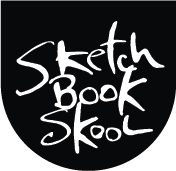 Recently, I worked with my friend Nate Padavick, one of the world’s great map makers, on Let’s Make a Map!, a great new kourse at SketchBook Skool. We filmed it in his gorgeous studio and all around the Mission district of San Francisco and we even used a drone (an SBS first!). Nate is a great teacher and he breaks down the process of making a map into simple fun steps, then gives oodles of inspiration. It’s a short kourse, just a week long, and it’s affordably priced ($29), and by the end, you’ll have made your first map and be eager to make loads more. Nate is a lovely man, a great illustrator, and he knows SO much about maps. He’s also the curator of two great web site: They Draw and Travel and They Draw and Cook. You must check them out…. after you sign up for Let’s Make A Map. Wow!! I love maps, and drawing and have always wondered how to combine the two. I am signing up!! You hooked me again! All signed up in preparation for vacation. Sounds like a fun klass! I couldn’t sign up fast enough for this klass. So excited! Signed up Danny. Looking forward to it.